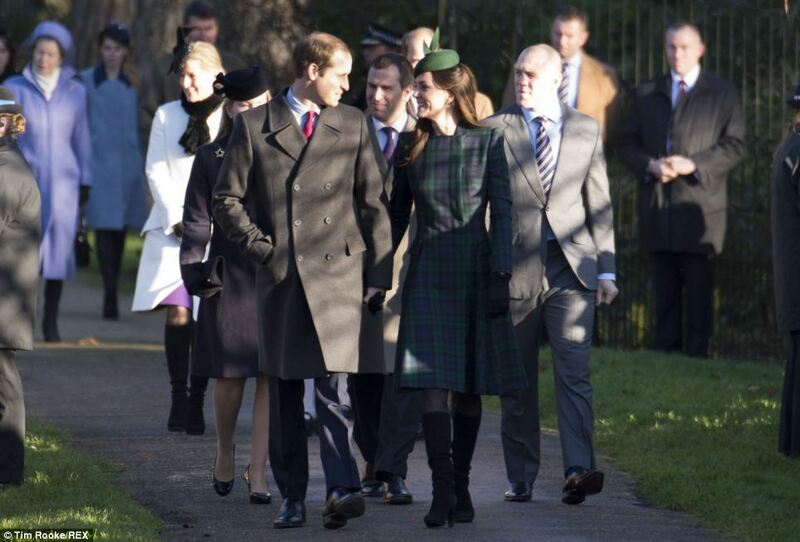 On Christmas Day 2013, members of the British Royal Family attended an early morning and morning service at St. Mary Magdalene Church near Sandringham, Norfolk. The Queen and her husband Prince Philip are expected to stay at Sandringham until February 6. The early morning service is a private affair, but the morning service is more public – members of the public can watch the royals walk to church and hand them flowers. Prince George, the Duke and Duchess of Cambridge’s baby son, was not present, but Kate said that he was “at home playing with wrapping paper” to the crowds. The Duchess of Cambridge asked her 2011 bridesmaids, Lady Louise Windsor and The Hon. Margarita Armstrong-Jones, to help her with her flowers. On 29 December, The Queen, Prince Philip and other members of The Royal Family attended a service at St. Mary Magdalene Church. The Queen also performed her annual Christmas speech, which contained unseen footage of Prince George’s christening that took place in October. She said that little George had given her “renewed happiness”. She also said that for new parents William and Kate “life will never be quite the same again”. Tagged Christmas, Elizabeth II of the United Kingdom, Religion, The Duchess of Cambridge, The Duke of Cambridge, The Duke of Edinburgh. Wonderful speech with wonderful thoughts…Thank You, Your Majesty ! May your family enjoy every day of the coming year ! Her message brought tears to my eyes. Imagine in this day and age we still have a remarkable woman as defender of the faith and as our beloved monarch. Her words show no fear of Her religion and no fear of being called politically incorrect. Long live the Queen and the wonderful Christianity She holds dear.